The Armchair Activist: Kuwait's New Cultural Center is a Success! Kuwait's New Cultural Center is a Success! Seven days ago I had the privilege of watching the inaugural ceremony of Kuwait's latest cultural achievement; the Sh. 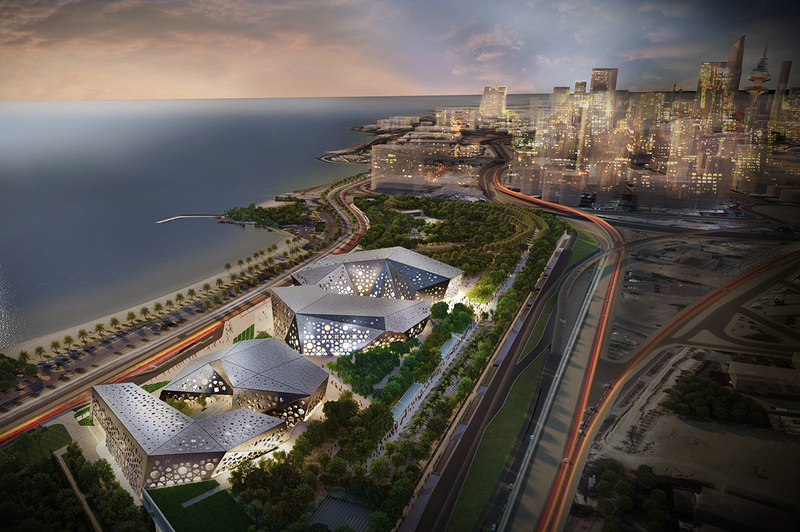 Jaber Al Ahmed Cultural Center, encompassing an Opera house (a first in Kuwait) and a number of other related facilities which - I imagine - will be of immense benefit to the local Performing Arts movement. I won't go into the details of what this center offers, as I'm sure other bloggers and social butterflies have already written quite a bit (especially those that were invited). I am pleased that Kuwait has such a facility, and I'm looking forward to the day where I'll be able to enjoy this center with my family. I've always wished for something slightly better than a small gallery or makeshift theatre in residential areas. What seems to be a shame is that during the time of the inauguration there were voices out there shouting to close it down - because it went against our Islamic Principles! These ignoramuses made it out as if Islamic Culture and History is completely devoid of any form of Art or Culture, and unfortunately for them, it only shows the extend of their ignorance. Kuwait has always been a beacon of Cultural and Artistic mastery in the Arab and Islamic World, with events and activities that dated as far back as the 1950's. Whether it's the traditional Fijiri songs of the seafaring pearl divers, the wailing poetry of the Bedouin Arabs complemented by the Rababah, or spiked fiddle, all the way to more modern efforts, such as Kuwaiti Plays and National celebrations, Art was presented in one form or another. Other countries in the GCC have recently had the advantage of accelerating their Cultural net worth, and they did that by pumping money and/or celebrating mediocrity, redefining the end result as an expression of their uniqueness or cultural might and prowess. 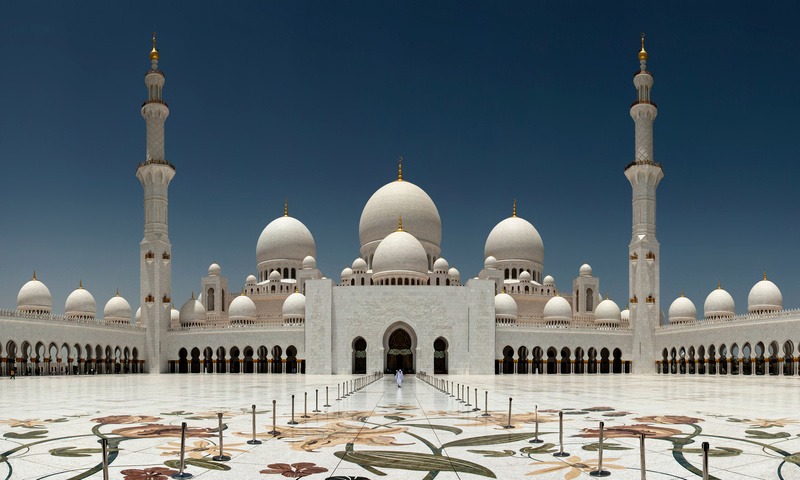 Case in point; Sh Zayed Grand Mosque. It's a beautifully designed mosque, with intricately detailed lines and curves, but peel away it's artificial layers of Marketing & Advertising, it's sill a mosque with a tomb in the middle! As for character or history, it does not come close to the Fatima Mosque in Kuwait. To present artistic finesse, one needs to have an artistic flair to begin with, and that's the secret to Kuwait's cultural ability. Kuwait had a cultural movement that was - and still is - representative of it's versatility and diversity, that set it apart from the rest of the Arab world, so it's a natural transition for Kuwait to have a Cultural Center such as this one to present and extend it's significance. Our history as the cultural and education trailblazers of the Gulf has allowed us to seek and acquire those things which allow us to articulate and express our love for culture and the arts. That's not being self-centered, it's the truth, and one needs only to consider Kuwait's achievements in the Arts to see it. This is despite a marked decline in general interest of the Arts in Kuwait. Ever since the Liberation of Kuwait back in 1991, the Kuwaiti society has become increasingly nonshalant about the Arts movement, dangerously superficial and extremely consumer-oriented, leaving behind those elements that are crucial to what makes a society develop and prosper. Personally, I think it's caused by the influx of a temporary (and cheap!) skilled labour force who are more concerned with lining their pockets in the shortest time possible than developing the architectural landscape. It wasn't like back in the 1950's, when the exodus of Palestinian refugees came to Kuwait and made a permanent life for themselves, thus merging their skills and talents with the local thirst for cultural significance, resulting in such works of art as the current Parliament Building, the current Municipality Council Building in Kuwait City, the Fatima Mosque (yes, again! ), the highly efficient matrix of motorways (efficient back then, at least! ), Dasman Palace, the list goes on! One needs imagination - before education - in order to develop an architectural work of art such as the Sh Khalifa Tower in Dubai, or the Kingdom Center in Riyadh, or the Bahrain World Trade Center in Manama. You cannot expect to have imagination thrive within an atmosphere of overt and direct disdain towards the Arts, nor can it thrive under an artificial bedrock of limitless financing. Money doesn't create a Picasso, nor can it recognize the greatness inherent in the Pyramids of Egypt or the Great Sphinx, nor will it inspire the next DaVinci. To the elites of the world of Arts and Cultural studies, it'll only create enough noise to elicit a slight nod of acknowledgement, and that's all! The point of celebrating the Arts - in my humble opinion - is to see the world through the eyes of the artist, and eventually become provoked in a thought process that would ultimately feed into the betterment of the individual, and by definition, society as a whole. People in Kuwait - I feel - have developed a taste for the mundane over the thought-provoking. Just listen to the poorly-constructed words in the latest so-called national songs that are bombarding us on TV and Radio and you'll understand what I mean. There's a difference between expressing your love for your country, and your devotion to your leader as a subordinate. Once we regard our leaders as the embodiment of our country, we become enslaved in the self-destructing act of glorifying leadership above all else, and the celebration - and acceptance - of mediocrity as a form of obedience, in contrast to living up to the values of freedom of thought and expression that are representative of a society that lives according to a Constitution. I hate to think that we've become so desperate - as a society - to seek the approval of the world by buying off and displaying our cultural significance, instead of working towards developing it ourselves. Even on a governmental level, the picture is bleak! The fact that most government buildings, schools and other government-owned buildings in Kuwait are nothing more than concrete boxes with windows and some stairs is a stark testament to the level of artistic taste of those in Government today. We can be much more creative if we just give ourselves a chance, and believe in our abilities to 'create' art, rather than poorly copy it. However, all things considered, I believe we're only left with one option; Things will get better, since we can't get worse than this! Hopefully, this latest message by the government to the stone-aged Arts-hating people will ring loud and clear, Kuwaiti love for art and culture is making a comeback, and Kuwaiti Artists will have their chance to make Kuwait a beacon of Culture and Free-thought once again, and to hell with the naysayers!